Class actions and major group litigation can be a seismic event not only for large commercial entities but for whole industries. Their reach and impact mean they are one of the few types of claim that have become truly global in both importance and scope as reflected in this second edition. There are also a whole host of factors currently coalescing around the litigation space that increase the likelihood and magnitude of such actions, where very significant sums are now routinely at stake. These factors include the recent political change in Europe and North America, which has begun to impact the regulatory sphere, as for the first time in decades, there is a shift towards protectionism and greater regulatory oversight. Advances in technology not only change our understanding of the world but also result in new and ever more stringent standards, offering the potential for significant liability for those who fail to adhere to such protections. Finally, ever-growing consumer markets of greater sophistication in Asia and Africa add to the expanding pool of potential claimants. 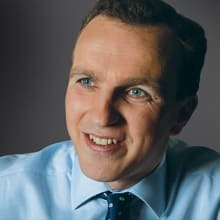 It should, therefore, come as no surprise that claimant law firms and third-party funders around the world are becoming ever more sophisticated and active in promoting and pursuing such claims, and local laws are being updated so as to facilitate such actions before the courts. 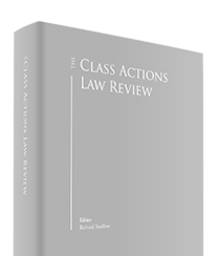 Despite this, or perhaps because this is an area that, although much anticipated, has only relatively recently been recognised as a real and present threat, little attempt has been made to provide a comprehensive study of the class actions sphere. As with the first edition of this review, this updated publication aims to provide practitioners and clients with a single overview handbook to which they can turn for the key procedures, developments and factors in play in a number of the world’s most important jurisdictions.